As I’ve already detailed at some length here, KB Toys had filed for Chapter 11 Bankruptcy and begun liquidating its inventory in preparation of going out of business after 80+ years. Around the country, stores are either in the process of closing or have ended operations permanently already. For my wife and I, that end came today. This isn’t a post to talk about the failings of KB Toys as a company — Lord knows, there were plenty enough of those to talk about at length. I’m sure someone reading this has had a bad experience at one of the company’s locations at some point and sheds no tears for the company’s downfall; I’m also certain that there are those who’ll point out the store’s inability to compete in price with Wal-Mart, or its struggles to provide the quantities of “hot” merchandise that might have made a difference between survival and collapse. Those points belong in an business magazine article. I’m here to talk about what the company meant to me and my wife, and why we both drove home today wiping away a tear. I started working for the company back in the holiday season of 1997, catching on as an assistant manager of one of the chain’s Christmas-only stores. A good friend of mine had gotten the manager’s position of the store, and he had recruited me to run the store with him. At the time, I owned my own business (a comic book and collectible store), so I had enough flexibility with my schedule to take the 2nd job to help with paying bills. What I found was that working in a toy store was an experience like no other I’d ever had. Even though the store I was in didn’t carry much along the way of newer, sought-after toys, it still had it’s share of neat stuff come through the door — and let’s face it, anyone who has anything of a kid still left inside of them would get the same huge thrill I did every time I opened another case off the truck to see what had come in next. The holiday went smoothly, and the next year I found myself with my friend as a seasonal assistant for the permanent KB Toys store in the same mall. Now I got a chance to see all of the hot items first hand (this was the first year of the Furby, if you can remember the fuss at the time), and while it was definitely harder work that the temporary location, it was more fun — and more rewarding an experience. In 1999, I got the opportunity to be the manager of the Christmas-only store — this time, working alongside my then-business partner (and current wife). We were a huge success, blowing away previous numbers for the location — and that success would lead to both of us being offered full-time management positions with the company. Coincidentally, we were both desperately in need of a job at the time. The business we had owned had gone belly-up earlier in the spring, and we were fighting to drive down the mountains of debt we’d run up in the process. We eagerly took on the challenge of working for KB Toys — and we quickly found out that we both loved it. The KB stores themselves, based largely in indoor malls, weren’t huge like Toys R Us — and you never had much of a staff to work with, numbers-wise (when it wasn’t Christmas, even the busiest stores would run with only 8 or 9 people on staff total). But while the small staff meant that the workload was always heavy, even in the slow months, it meant that you really got to build up a rapport with the people you spent the days with. Employees and other managers became friends in many cases, a sort of extended family that you bonded with over store inventories or promotion changes or sales contests. My wife and I worked together for about 6 months before she accepted a store manager position at another KB Toys nearby, and with both of us store managers, it was clear we had invested a lot in the company; in fact, it was my promotion that allowed us to realize our dream of owning our own home. But it wasn’t just a financial investement we had; rather, over time, like many of the other managers we came in contact with, we began to have a real emotional investment in the success and well-being of both our stores and the company in general. We didn’t own a stake like we had in our own business, but often, it felt like we did. Somewhat burnt out on the world of retail, I left the company in 2004, shortly before the first bankruptcy filing that KB endured. We’d seen the warning signs already that something was amiss, but still, the announcement at the time was shocking. We knew that individual stores would close, but never had we thought that the company itself would be in jeopardy. Too many people had worked too hard for that to happen, right? My wife would follow my lead to take on a management position with another company shortly afterward, looking for stability over familiarity — but for both of us in our new places, things just weren’t the same. Work never had felt more like just that — work. After years of actually looking forward to going into our jobs every day, we both found that getting ourselves motivated (beyond the impetus of a paycheck) was harder than it had ever been. In time, my wife would work her way back to the company (after being recruited back with a hefty raise after KB’s emergence from bankruptcy in 2005), and she had never been happier than she was that first day she pulled her KB Toys polo shirt back over her head. Even I found my own way back, like an addict with a habit they couldn’t break; I worked as a seasonal associate last year, and served as a holiday stock manager for my wife’s store this past year. I was so proud of her and what she’d accomplished, as her store was not only one of the nicest I’d ever set foot it, it was setting sales records for its location, and I was glad to just be a part of it. We cleaned the store out entirely today; my wife turned her keys into the mall manager and we drove way from the store for the last time. We did so with heavy hearts, knowing that sometimes the sum of a store isn’t just in the numbers recorded on its ledger — but it’s in the impact it makes on the people who called it their home away from home, in our cases, for nearly twenty years combined. There’s not much left for us to remember KB Toys with as it already begins to fade away from the public eye — a few pictures, a few mementos — but more than those, we’ll take away our memories of what the store meant to us and the people we worked with — and that alone will always probably bring that tear back to our eyes the next Christmas we see without it — and likely, all the ones that will ever follow. Goodbye, KB. And thanks. You won’t be forgotten. If any of the players on the Dallas Academy girls basketball team had said that a week ago, would you have blamed them? If the name of the school isn’t ringing a bell for you, don’t feel bad. Dallas Academy is the definition of a small institution, with only twenty girls in its high school and only eight players on its varsity basketball squad. Not surprisingly, Dallas Academy is about as far away from a sports juggernaut as you would expect — the girls hoops team hasn’t won a game in four seasons. The school specializes in helping children with learning disabilities, not with developing their jump shots. But that doesn’t mean that school’s basketball squad deserves to be humiliated. Now if you’re The Covenant School’s head coach, Micah Grimes — or someone who thinks like him — you probably disagree strongly with that statement. Of course, you’re also likely the type that bullied and beat up the kids smaller than you when you were in school — or as an adult, you might be the type to take candy from a baby. But who’s quibbling? When Dallas Academy faced off against Covenant last week, it was clear right from the start that the two teams didn’t belong on the same court together. To say Covenant got off to a big run to start the game isn’t a technically accurate statement, as I would imagine that, to quantify the run, the run actually had to be stopped — which Dallas Academy could never do. The score was an unbelievable 59-0 at halftime — the final tally, a “blink to make sure you’re seeing things correctly” 100-0. The “game” wasn’t a contest by any definition — it was an obliteration. But if there was embarrassment anywhere in the one-sided affair, it shouldn’t have been laid at the feet of the Dallas Academy squad; rather it should be placed squarely onto Coach Grimes’ narrow shoulders, for his part in allowing the game to become a farce and in allowing poor sportsmanship in general to take precedence over the true intent of athletics at the high school level. Look, it’s not a secret that every sporting contest isn’t going to be an evenly-matched battle for the ages — and as every Detroit Lions player, coach, or fan could tell you this year, even winning once in a while isn’t a given either. But at the high school level, one would expect that winning — or winning big — shouldn’t be the ultimate goal, nor should requiring a “take-no-prisoners” mentality to every game. I guess I’m naive, but I always thought that athletics in high school was about enjoying oneself, learning skills in sport that go hand-in-hand with the values of good sportsmanship, and seeing every student-athlete better themselves through hard work — and maybe exit the entire experience with a greater sense of self-worth and confidence. Coach Grim — err, I mean, Coach Grimes — apparently thinks the above paragraph is a load of nonsense — or you would certainly believe that once you read an account of how the Covenant/Dallas massacre unfolded. According to reports on the game, Covenant players were still actively full-court pressing their hapless opposition even with a 60 point lead in the 2nd half and were still shooting three-pointers while trying to reach triple digits on the scoreboard. Full court presses? Was there going to be a comeback from a team that couldn’t get a goose-egg off the scoreboard? As ridiculous as that approach was, Grimes apparently not only saw nothing wrong with his team’s aggressiveness, he essentially encouraged it, whether actively in his coaching — or passively by standing by and doing nothing to call off the dogs. Now I’m not one of those believers in the new-age thinking that “there are no losers, only winners” that you’ve seen permeate competition at the grade school or high school level. Sports is all about the competition, and the results — both winning and losing — are an integral part of the process. I played basketball myself when I was in high school, and my junior varsity team was one of the worst collection of scrubs our school had ever seen — we won a lone game my freshman year, the last of the season. But there was nothing wrong with that — and it was the disappointment of losing that drove all of us to work harder over the next two years, resulting in a team that was a playoff contender by the time we all reached the varsity level (not that I contributed much other than cheer leading from my spot nailed to the bench most of the time, but you get the picture). The fact that Dallas Academy lost, or that they lost by so much, isn’t the problem here. It’s in the way Covenant shamelessly poured it on when there was absolutely no need to — unless the goal of Coach Grimes was to needlessly shame his team’s opponent in a vain attempt to glorify himself or his team somehow — assuming, of course, than there’s any achievement in blowing away someone that can’t even muster a token opposition. I don’t blame the Covenant players for that — they’re not adults, but high school kids, and the responsibility for imparting a level of common sense and decent sportsmanship into their actions is the responsibility of their “coach”, who apparently couldn’t be bothered to give a damn. Sadly, not everyone gets it. For example, I heard someone on the radio this morning reference Wilt Chamberlain scoring 100 points in a game as proof that nothing shameful happened in the game at all. 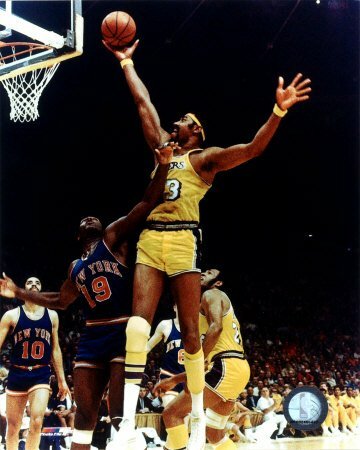 For that caller — who in making the comparison between a high school girls’ team and arguably the most dominant pro basketball player of all time exhibited a few innate “learning disabilities” of his own — here’s a quick newsflash for you: Chamberlain was a pro athlete being paid money to play against other adults being paid to stop him. Not quite the same thing as eight high school girls who may never pick up a basketball after they graduate — and if they wanted to never pick one up again after this, I wouldn’t blame them. Even sadder than any public support for this display of selfish unthinking at its finest is the (unsurprising) footnote that Coach Grimes was completely unrepentant about his role in the blowout; in fact, after his employer attempted to forfeit the game, with the head of the Covenant school Kyle Queal stating, “A victory without honor is a great loss,” Grimes scoffed at the mere suggestion that he should apologize, stating “We played the game it way it was meant to be played,” all the while claiming that he had not “run up the score”. Apparently, Queal disagreed — and Grimes was relieved of his coaching duties Sunday. There may not have been any honor shown during the Covenant/Dallas Academy game, but at least in the end there was some justice. And Grimes? Maybe he can work on his resume for his future NBA coaching career fade into the obscurity he deserves and never again be in the position of coaching high school athletics — or at least one can hope. But don’t worry, Coach Grimes — while you may not need to make room on the mantle for your “Sportsman of the Year Award”, you can still use it for this week’s Ro-Sham-Bo Award. You certainly earned it, and you only had to attempt to humiliate a group of teenage girls to get it — a worthy trade-off, I’m sure, in your book. I stayed away from the television today, spending my Saturday afternoon yet again working on my home renovation (which has been in progress for over two years now, and is worth a post in itself at some point — but not yet). I didn’t get a chance to check on much of anything going on until this evening. Sitting down in front of the tube awaiting the start of the Antonio Margarito/Shane Mosley title fight on HBO, I pulled up ESPN on-line to check out the day’s events. What caught my attention was the story, “Harris collapses in Alabama game“. Reading about Harris’ fainting spell and him clutching his chest as he fell to the floor sent a chill down my spine for several reasons. I’ve had my own incidents in the past of light-headedness and fainting; a doctor had once diagnosed me with an irregular heartbeat, though since then, my current doctor has assured me that my heart is apparently healthy and I’m not at risk — yet. My natural father died of a heart attack when I was only a baby, and heart disease runs in my family, so despite a lack of red flags in my background — I’m in relatively good shape, and there’s little alcohol, no drugs, and no smoking in my background — any heart-related illnesses I come in direct contact with or see happen to a public figure always catches my attention. In this case, seeing it happen to a college basketball player makes me think of one player, a personal favorite who was taken from us all too soon, Hank Gathers. If you don’t remember Gathers, it’s a shame — for Gathers was, by all accounts, an outstanding player and a nice guy who, instead of living a dream and joining the NBA as a first-round selection, was buried less than a month after he celebrated his 24th birthday. For those who have forgotten, Gathers had burst upon the scene in 1988, as he led Division I in both scoring and rebounding (becoming only the 2nd player in NCAA history to have done so) while leading unheralded Loyola-Marymount to national prominence. Along with his teammate Bo Kimble, Gathers had attended USC before the pair transferred to the West Coast Conference school. The run-and-gun offense of coach Paul Westhead was a perfect fit for Gathers, who flourished. Loyola Marymount became one of the most entertaining teams to watch with one of the highest-scoring offenses in NCAA history, and Gathers became a potential pro prospect and one of the top players in the country. With LMU roaring towards an NCAA berth, the future looked bright for Gathers — until a terrifying Saturday in December of 1989 when he collapsed during a conference game against the University of California at Santa Barbara. Almost immediately after hitting the floor, Gathers had gotten up — but it was clear to anyone who had been watching that something was clearly wrong. Gathers seemed to be a magnificent athlete — and the idea that something could be wrong with someone who had spent much of two collegiate seasons dazzling us on the court was enough to unnerve anyone. Tests after the collapse revealed that Gathers had an abnormal heartbeat. Medication was prescribed, and Gathers would return to the court, apparently healthy again and back on track towards his bright future. Until it all came to a tragic end on March 4, 1990. During a first-round match-up in the WCC tournament against Portland State, Gathers dunked in the first half to put his team up by twelve — the last points he’d ever record. As he moved back on defense near mid-court, Gathers collapsed to the court again, sending the rabid, cheering crowd into a deafening silence. He tried, but could not get up. Doctors and trainers rushed the court to attend to Gathers, while his teammates and opposing players looked on with anxious concern. Within moments, Gathers heart had stopped beating, and he was hooked up to a defibrillator. Less than two hours later, Hank Gathers was dead. Just like that. I had become a quasi-fan of LMU that season, enjoying their style of play and seeing them as a possible underdog I could root for when the NCAA tournament came around. I’d liked what I’d heard about Gathers’ potential as a pro, about his hard work ethic on and off the court, and I found it easy to root for his success. When I heard about Gathers’ first collapse in December, I was worried, and even after he had been cleared to return to the court, I felt uneasy. Playing a game isn’t worth dying for I had thought. When I heard the news that late, January afternoon that Gathers had collapsed again, I knew he was dead, even before they announced it on-air. I just knew, and even though I ‘d never known any more of the man than what I had seen on a television screen or what I’d read in a newspaper, I had to fight to keep the tears away. As a sports fan, my world was a little emptier. Later, we would find out that Gathers had cut down on the medicine that he’d been prescribed for his heart ailment, feeling that it made him feel sluggish. LMU officials were under the microscope, as questions were asked about their role in not protecting Gathers enough. Gathers’ best friend and teammate Bo Kimble, a right-handed shooter, would honor his fallen comrade by shooting his first free throw in each of LMU’s NCAA tournament games left-handed — and, of course, he made them all. But none of it was going to bring Gathers back. Sadly, Gathers is largely forgotten now. Basketball had seen and would see other tragedies similar to his — Len Bias had died in 1986, felled one night by his own weaknesses and Reggie Lewis’ illness and death in 1993 would be eerily similar to the LMU’s star’s fate — but even now, Gathers’ tragic story is the one I remember as the saddest of them all. And that sadness always comes back when I see an athlete taken ill like Ramon Harris was today. I wish Harris a speedy recovery, and when my day is done, I’ll try to remember to say a silent prayer that I never have to relive that cold, bleak Saturday afternoon in January of 1989 ever again. We’ve getting ever closer to the start of baseball season, a mere weeks away from when pitchers and catchers officially report. And that means that, across the country, fantasy baseball drafts are already being scheduled for March and early April. So what’s a savvy fantasy baseball owner to do? Pick up a fantasy magazine, of course — right? I’ve seen books from the Sporting News, Fanball, Lindy’s, and the generically titled “Fantasy Baseball Guide” currently out at my local venue — certainly, one of these new arrivals at the newsstand will be all I need to get me started in the right direction for 2009, no? It’s not that these books don’t have a lot of powerful, fantasy baseball minds behind them. Contributing to The Fantasy Baseball Guide are a number of names familiar to die-hard fantasy players — Todd Zola, Ron Shandler, Alex Patton, and Peter Kreutzer (better known as Rotoman), just to name a few. While I’m not as familiar with most of the The Fanball editorial team, I do know Jason Collette’s fine analytical work from his regular postings on the top-notch fantasy baseball website RotoJunkie, which I’ve frequented over the years. And the Sporting News — they’re the frickin’ Baseball Bible, from Pete’s sake, aren’t they? (Well, not really, but I won’t say anything if you don’t.) And Lindy’s … well … uh … they did have a nice looking cover, I guess — or was that the misplaced Maxim someone had left on the shelf next to it? See -- it says "sports" right up there on top. Right above her ... her ... uh ... what was I talking about again? Okay, okay — three of the aforementioned books should be helping fantasy players get ready for the 2009 season, shouldn’t they? But they’re really not. At least, they’re not really helping prepare their intended audience (at least, I think it’s their intended audience) — the hard-core fantasy baseball player. Before it sounds like I’ve trying to take a shot at any of these publications, I’m really not — and I did buy all of them except, of course, for the Lindy’s (a friend of mine always picks that magazine up each year, but for comedic value, rather than real drafting help). And I’d be lying if I didn’t say I was taking something useful from all of the magazines I did purchase. But each year, I’ve grown less and less reliant on these type of publications, and it’s getting to the point where I’m close to not taking any fantasy baseball book home before the season. The problem is that a magazine — any magazine — has little relevance to any draft I’m probably doing in any given season. There are all kinds of leagues in existence: rotisserie leagues, points leagues, head-to-head leagues, AL and NL-only leagues, mixed-leagues, etc. There’s no way possible for any publication to address all of the numerous variants that are in play, never mind the differences between all of the variables in numerous leagues of any one type. For example, your AL-only probably doesn’t have the same rules, the same number of teams, or the same type of owners as mine, just for starters. How can both of us be served by any one publication? We probably can’t, especially since every magazine still has at its core rankings that revolve around that mystical number known as the player’s “dollar value”. That dollar value corresponds in each case to a hypothetical league — $260 draft budget, no keepers, x number of teams — that almost all of us don’t actually play in. I’ve been in three regular leagues over the last decade, and none of them come close to fitting those profiles — and I suspect I’m not alone. And that’s at the heart of the problem. Part of winning your league is figuring out exactly how your league ticks: What’s the pitching/hitting split? … How are closers valued? … Are young players sought after more than veterans? … Can you dump categories and win? … and so forth. It’s that basic understanding that’s most important in any fantasy owner’s attempts to compete in their league (assuming that most die-hard fantasy players are in established, longer-running leagues) — and frankly, it’s impossible for any magazine to help a owner there. Another issue is the seeming rush for magazines to be the first ones to print — I seem to remember the first magazine each year (usually the Sporting News) making it’s way to my hands shortly after the Super Bowl. In 2009, TSN’s fantasy preview was reaching the public just around the time the ball was dropping in Times Square on New Year’s Eve. But January predictions have a way of being horribly outdated by the time your draft rolls around (for instance, how many magazines gave closer value to Brian Fuentes, and was anyone even close to predicting he’d end up in Los Angeles?). No year is that more likely to happen than this one, with an off-season that’s seen a number of free-agents still remaining on the market as we approach February (see Ramirez, Manny). If you’re dealing with incomplete or inaccurate information in your guide, particularly with players as highly-ranked as Ramirez or with situations as crucial as the Angels’ closer, then how much are you really helping yourself with your $8 purchase? (And that’s for only one book). Of course, there’s not much that can be done about timeliness in a printed format — in their favor, most of the magazines do have some sort of on-line updates to help a fantasy owner wade through the changes that occur leading up to and during spring training. But that gets back to my dilemma — if I can find up-to-the-minute information on the Internet — and that information is out there, whether it’s in the form of paid sites like Baseball HQ and Mastersball or a free site like Rotoworld or RotoJunkie — then what’s the point of picking up the magazine in the first place? Now it needs to be pointed out that the magazines at least do provide some specific information that I enjoy — Fanball went extremely deep in its players rankings (225 starting pitchers and 180 outfielders alone — holy crap!) and had some sort of write-up on everyone, including second write-ups from the editors on a number of players — very useful. Their “10 Burning Questions” they asked and answered at each position was interesting as well. The Fantasy Baseball Guide, by its claim, profiled and projected a whopping 1500 players (I didn’t count them all, so don’t hold me to that) — again, having some snippet of information, no matter how seemingly trivial, about pretty much anyone that could come up during a draft is the most valuable tool that both of these magazines provide. But beyond that, print leaves me wanting when it comes to the analytical information that I’d most like to read. The aforementioned Jason Collette did a piece on-line featuring the enigmatic Delmon Young that blows away 98% of what I’ve read in any fantasy magazine since I started playing this game — why can’t this type of information be the focus of what we pick up on the newsstand? (In making this statement, I’m ignoring Ron Shandler’s Baseball Forecaster — which does touch on exactly this type of info — for the purposes of this discussion, as I think it’s an entirely different animal than what I’m talking about otherwise). It feels as if fantasy magazines are trying to appeal to both the veteran participant as well as the novice, but in doing so they’re shortchanging both: talking about some concepts a novice won’t and might not want to understand while going deeper in player numbers than they’ll ever need, but not going in-depth enough for the veteran players who want something more than a list of “sleepers” and “busts”. I’m telling myself that this is probably the last year that I pick up anything fantasy baseball related from the newsstand. I wonder if the fantasy baseball magazine is an outdated dinosaur, headed for extinction as the on-line experience continues to draw away its readership that is looking for a more thorough, specialized experience. There’s no doubt that what’s out there today is 1000X better than what was labeled fantasy baseball guides in years past — but in order to keep the audience of hard-core fantasy baseball participants like me and survive, they’ll need to do something that the dinosaurs were never able to — adapt. Whether I’m part of their audience in the future, though, doesn’t mean I want to see them vanish from the newsstands. Nothing says “winter is over” to me more than seeing a copy of a fantasy baseball book on the rack — even if it happens to be a Lindy’s. Get ready for the next round of begging and pleading from the banking industry. According to this article, the nation’s largest banks are teetering on the verge of collapse, despite billions of dollars in bailout money getting funnelled into them in the last few months. Surprised? Didn’t think so. The worsening economy isn’t helping matters either. Of course, the economy’s struggles might have been lessened somewhat if the banks that had received that bailout money had actually loaned anything out — but that stipluation was never part of the original federal package, and — surprise, surprise again — the banks have sat on their huge influx of cash — not that it seems to have helped. One of the banks mentioned as a candidate for collapse is Bank of America. Hey, guys! Maybe if you were more concerned with managing your business properly instead of trying to stick it to your loyal customers, you wouldn’t be in so much trouble! In the case of BOA, we’re hearing the same schtick we heard the first time around — “If we collapse, then there are dire straights for the entire global economy because we’re so big”. Maybe acquiring Merrill Lynch and Company to make yourself so “big” wasn’t such a good idea after all — wow, I figured that out and I’m not a big banking executive pulling a huge salary while blackmailing the public. Imagine that! Worse yet, there’s talk of more money being sent the banks way, but again with no requirements that those who receive government aid actually start putting money back into the economy by lending again. Yep — I’m sure that’ll work this time around. The banks won't just take our money again -- right? More and more, it’s looking like we’re headed for a collapse unlike anything seen since the times of the Great Depression. What’s going to be the end result? More taxpayer money being thrown down a bottomless pit? More bank failures? A nationalized banking system? Whatever the result, sadly, the only thing we can be assured of is that the everyday taxpaying American — you and me — are going to be the losers. Nothing to make a guy feel old than seeing the arrival of the 10th Anniversary of something that feels like … well … like it’s not ten years old. But much to my surprise did I realize that it’s now been a little more than ten years since the cartoon, The Powerpuff Girls, made its series debut on Cartoon Network. It’s actually been a little bit more than ten, since the series premiere was in 1998 (November 18, to be exact) — and you could say it’s even longer than that, since the concept itself premiered as a pilot even earlier, in March of 1995. It took running across a “10th Anniversary Marathon” of episodes on television Monday (and a brand-new episode, created to honor the anniversary) to realize just how long it’d been since this cartoon had first hit the airwaves. Created by Craig McCracken, the Powerpuff Girls quickly became one of the fledgling Cartoon Network’s biggest hits, its debut episode scoring the highest rating of any premiere in the network’s history at the time. Throughout its run, the show would be a ratings winner for the network, appealing to a large demographic that included a surprising number of adults watching with their kids — or in some cases, adults watching alone. In its inception, Cartoon Network had been the home for all of your cartoon reruns in one place — old episodes of The Flintstones, Tom & Jerry, Scooby-Doo, and Warner Brothers classics featuring Bugs Bunny and others filled the programming landscape. But the Powerpuff Girls was part of a new approach for the network — the creation of original shows as a programming base. While the Powerpuff Girls wasn’t the first of these shows, it arguably became the most popular, and along with other now-cult favorites like Dexter’s Laboratory and Cow & Chicken just to name a few, Cartoon Network became a channel to enjoy something other than a trip down Nostalgia Lane. I worked as a store manager at KB Toys at the time, and I remember being surprised by the sheer number of people who came in looking for Powerpuff Girls merchandise (which we never could seem to keep enough of in stock). My schedule usually allowed me to have Friday nights off, and the little kid in me found itself drawn to watching the Friday night block of cartoons religiously, and I’m not embarrassed to admit that the Powerpuff Girls were a favorite. The show may have been a cartoon, but it wasn’t just aimed at kids. While the plots were simple, they were mostly action-packed, and the animation was solid. And there were some episodes, like the classic “Meet the Beat-Alls”, which seemed to be squarely aimed at its adult fanbase (anyone who loves the Beatles should see this episode, as it’s chock-filled with references to the Fab Four too numerous to go into here — anyone who has seen it, can check out this list of those references here. The entire series is now available in a collected format on DVD, and it’s well worth the $42.99 it’ll run you at Amazon. You can just hang around outside in the sun all day, tossing a ball around, or you can sit at your computer and do something that matters! Like give out this week’s Ro-Sham-Bo, for instance. Let’s warm them up, shall we Eric? That’s better. See that look on Cartman’s face? That pissed-off countenance pretty well matched my own, when I got in a notice from Chase National yesterday regarding a credit account my wife has with them. Or, I might say, had with Washington Mutual (recently acquired by Chase) and likely will never have with Chase at all. Here’s some quick background for you — my wife and I usually loathe the idea of putting anything on credit — a practice we know was confirmed to be the right decision on our part with her recent job concerns. However, we’d started remodeling our home two and a half years ago (doubling our square footage, but saving money by doing nearly all of the work ourselves), and like all remodels, there were expenses that it made sense to spread out some over time. We’ve had four regular credit accounts, along with special accounts at Home Depot and Rooms-to-Go. The latter two have been especially helpful, considering both have run (and continue to run) promotions allowing higher-end purchases to be “No interest/no payments” for anywhere from six months to a year. No reason to not take advantage of that right? Well, if you have an account with Chase National — or with Bank of America, as well — then surprisingly, there are reasons you don’t want to take advantage of it. Because if you do, you might see your A.P.R. doubled for — well, frankly, for no reason at all other than these mega-banks want to take every opportunity to screw over you, the consumer, even when you’ve done nothing to warrant it. And by the way, if you’re scoring at home, I’m not just talking about a doubling of the A.P.R. on future purchases, but on items you’d already purchased previously. Now in paying bills, my wife and I don’t believe in the minimum payment — for her Washington Mutual account (and my Bank of America) account, for a long time we had paid our balances in full each month, avoiding any occurrence of finance charges. At one point, however, circumstances regarding the aforementioned remodel made it make more sense to carry a balance from month to month for a time, and use our cash flow in a better way to move the project along. During this period, we would make our payments to each company well in advance of any due date, and usually made multiple payments a month on said account, though still leaving a balance remaining. We’re the perfect customers if you’re a credit company, right? But in the Bizarro world of Chase National and Bank of America, evidently, we’re the customers that need to be punished however, with higher A.P.R.’s all of a sudden, despite the fact that 1) When we signed up for these accounts we agreed to certain terms and 2) We’ve never done anything that would constitute violating those terms (though each of these “fine” institutions can’t say the same). I haven’t had the “pleasure” of a conversation with Chase yet, but I can already see how it’s probably going to go — just like my conversation with the “customer service” wing of Bank of America did. When I inquired about what I had done to warrant a doubling of my A.P.R. there, I was told that it had nothing to do with my timely payments and dedication to the responsibility that goes with having such an account — rather it was due to the high balances I had on other cards — you guessed it, my Home Depot and Rooms-to-Go accounts. After wasting nearly a half and hour with three different people that day, I finally opted out of the A.P.R change on that account (something that the credit companies have to offer you, but try to lose in the fine print of the disclaimer then send with your statement, hoping that their customers won’t notice). In doing so, I made the commitment to never use the card again (or the higher A.P.R. would be triggered) — not a big problem since I don’t need the card, but the loss of potential credit could always affect us in a future emergency, so I’m still not happy. I didn’t out-and-out close the account (there’s no annual fee — yet) since doing so, if you can believe it (and I know you can), would actually hurt my credit. Where’s the justice there? I know what you’re thinking — not only is this unethical, but it should be illegal! Well, you’d be right — and for once, the government agrees with you and actually did something about it. Back in December, federal regulators made wholesale changes to what credit card companies can get away with — specifically banning outright exactly what Chase is trying to do here (and what Bank of America tried to do before), but unfortunately, these changes (and others changes that protect the consumer and that the banking industry is — surprise, surprise! — horribly aghast at) won’t take place until July 2010. So in the meantime, institutions like Chase and Bank of America will continue their unethical practices for as long as they can — and woe to the honest, hard-working, responsible consumers that get in their way of increasing their profits. For any business to treat its customers like this is reprehensible — for banking institutions that just received a huge share of your money and mine in the form of a bailout to cover their excesses, mistakes, and incompetence, it’s barely short of criminal. But, it is worthy of this week’s Ro-Sham-Bo Award. For shame, for shame.